Happy Tuesday everyone. 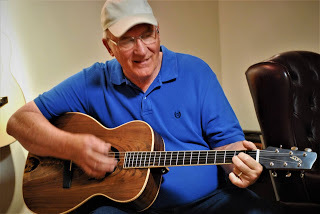 Please welcome our guest blogger, Dwight Roth, who will host our Poetics today! Welcome to poetics at the bar. Dwight Roth here, your host asking you to consider the sounds of silence. We are looking at how silence speaks volumes, although no words are actually spoken. Think how one can live in a city of a million people yet feel silent and alone. To illustrate this, I take you back to the late 1960s and two of the best singer songwriters of all time, Paul Simon and Art Garfunkle’s. Their song, The Sounds of Silence spoke to the despair and emptiness that was prevalent during this time. The Viet Nam War was escalating and the nation was divided much as it is today. Their songs spoke to the core of the human condition. Songs like The Boxer, Homeward Bound, I am a Rock, and Bridge Over Troubled Water all rang true to many. If this song is new to you, listen to the clip below and get a feel for the way we live in a world that is full of action and noise, yet often silent, when it comes to relationships. For many the darkness closes in and it feels like the only way out is to check out. my silence than my speech. Your challenge for today is to write a poem about the human condition that eludes to silence, especially the sounds of silence. What is being said when nothing is spoken and no sound is being made? Think of the ways people cry out for help and attention in their actions. Dwight is a retired elementary school teacher. He started writing poetry for an open mic poetry group in 2013. This developed into the writing and self-publishing four memoirs of his childhood, and four books of poetry. He started his word press blog two years ago and publishes his photos and a poem each day. A year ago he began writing for the dVerse poetry prompts, where he is further developing his poetry skills. He lives with his wife Ruth near Charlotte, NC. I did too. It was also an assignment from one of my teachers. See you in the poetry trail in a bit Bjorn. Thank you Bjorn, it is a song of lasting quality. I also find myself humming or sing lines from Simon and Garfunkle. It was great music. I love that song too~ Thanks Dwight for hosting and giving us a lovely challenge. Please note folks that Dwight will be coming in later to visit your poems. Happy Tuesday! Thank you Grace for the invitation to host. I am honored that you have allowed me to participate in this way. Good evening everyone! Hi Dwight! Thanks for hosting and for a great prompt. Thank you, Kim. Welcome and I hope you find this prompt challenging and fun as well. Hi Vivian. Thank you for joining in on this one. Amazing how loud silence can tell more than the words we say! Great prompt, Dwight. I’ve written about the silence of grief. Thank you Sarah. Grief is one place silence can take a grip on a person. The grieving process needs to move beyond the silence to find healing and wholeness again. Happy Tuesday, everyone! Great to see you tending pub tonight, Dwight. Will get back to reading in the early AM. Looking forward to it! Thanks Lillian. I hope you enjoy every one of the posts. You are welcome Frank. Thanks for your great post. 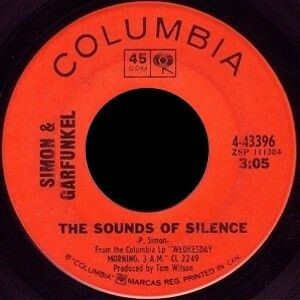 I adore the harmony of Simon and Garfunkel. I’m sure I once owned an 8-track with various selections. Today it’s a little easier to access their music anytime. They are by far at the top of my favorite groups. Hi Phyllis, glad you joined in on this one. Their harmonies were the very best. Harmonies seem to be a thing of the past in the repetitious songs of the present day. Hi Frank. Thanks for joining in on the conversation and the prompt. Hello everyone! Dwight, thanks for a great prompt. Hi Linda, glad you enjoyed it. Fun prompt. It’s often difficult to find something interesting to say about nothing. Thanks. I hope you are able to come up with something great! Thanks for hosting, Dwight! I added a short one about silence. Thanks, Frank, it was a good one.! Thank you for joining us. It is one of my favorites. Super song. Very interesting cover of it by Distrubed. Thanks for the prompt, Dwight! I have always loved this song and what it conveys. I really liked this version as well. Thanks for joining us.. I fixed it for you. It’s fine. See you in the poetry trail! No, problem at all. I enjoyed them both. Thanks for joining in the mix! Timely! Your prompt matched my thoughts today on the silence of and language of technology. Thanks! I don’t often write poetry with subject matter that fits well with most prompts, but this one today was a winner for me. I am so glad you connected with this prompt. I appreciate your participation and your post as well. Dwight, wonderful prompt! Nice to see you here. Thank you Victoria. I appreciate being able to participate in this fine group! It is no problem. I works very well! The prompt is open ended and you are welcome to take it where ever you like. You’re a gracious host, Dwight! Thank you Lynn. I have always lived with one leg outside the box just in case!! So now I wrote another one…outside the box 🙂 Sometimes thoughts/words come and you cannot remain silent. Very nice. I will check it out! You are right!! Thanks for hosting, Dwight, and for your wonderful prompt. I love the Sounds of Silence. I always hear it with images of The Graduate in my head. That album and that movie are so tied together in my mind. I liked the Langston Hughes poem, too. I’ve posted mine, and I’ll be back to read later. Thanks Merrild. Music takes us back to places and time of significance in our lives. This song in particular does that for me as well. Thank you for join in on the conversation. Love the prompt….and that song, they don’t get much better! Love those guys. I wrote something nature-y, lol. Thank you for joining in on the prompt. I agree they are super! I have really enjoyed reading all the different ways this prompt has gone. Thank you for your beautiful post and the other version of the song is powerful and speaks just the same. I saw the lovely post of my blogging pal Whippet Wisdom and followed it to your poetry challenge, which I’m glad to add my post to, too. I posted it on the link-thingy, but am copying here, as well, just for redundancy sake … Beautiful prompt! And may we none of us be silent when we should not. After reading and responding to all the wonderful poems that came through, I have a much greater appreciation for those of you who run d’Verse on a regular weekly basis. You guys put in a lot of work three times a week. Those of us who simply contribute don’t realize how much time and effort you invest. Thanks to all of you!!! The teamwork is great and everyone helps out. dVerse is a product of not just 1 person but a team to last this long. And its also fun to see what each one brings to the community. Dwight, thanks for your support and wonderful prompt. We appreciate your time and effort in visiting and commenting in all the poems. You are welcome I really enjoyed seeing it all come together. Thanks for the invitation. Love the prompt! Thank you for hosting, Dwight!